Puzzled by the question as where to spend quality time with your dating partner and looking for good places to date this summer? You are at the right place. Bright and sunny days of the summer inviting you to come out and spend quality time with your dating partner. 5. Go on a long drive – Going on a long drive in the summer evening is an evergreen dating idea. Get your car out of the garage and go on a countryside long drive and enjoy nature together and spice it up with some romantic magic in the air. 4. Summer Picnic – Summer evening are best times to enjoy the outdoor nature and the best way to enjoy it is to go on a picnic with you dating partner. If you guys like playing games then make sure you carry a frisbee. 3. On your Bicycle – Ridding a bicycle is a great activity for your health and certainly for you dating life. 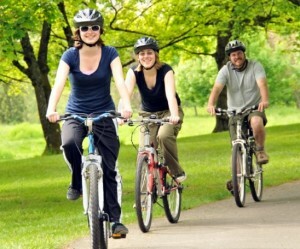 Spend some quality time on a couple of miles bicycle ride and can also take a stroll while returning which can give you extra time if you don’t want to finish too early. 2. Amusement Parks – Both of you have fun loving nature and looking for doses of adventure then a trip to an amusement park is perfect for you guys. Pick a day when the park is less crowded so that you can enjoy many rides as often as you want. 1. Enjoy your Gadgets – You like to play video games but, sitting on a couch is not what you are looking for then the gaming console like Microsoft Kinect gives you the liberty to enjoy game for real and with their gesture recognition you can play games as if you were really playing in the field. Comment on this article and let tell what are your top summer dating ideas are and what summer dating activities you like to do.